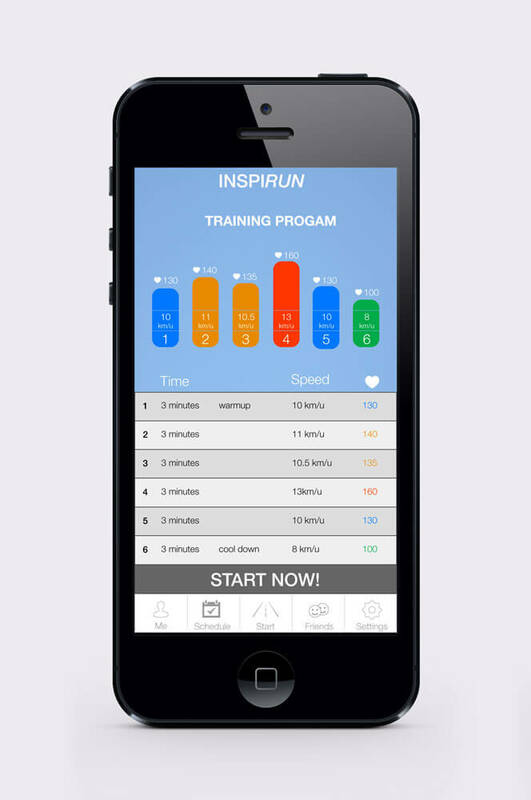 INSPIRUN is a smartphone app that offers runners a personalized and adaptive training schedule. It combines information from the phone’s GPS, and external HR strap and classification of runners by type and experience level. This information is used to give the runner the most optimal training schedule for his/her needs. When the training schedule is too demanding or too easy the training schedule will be dynamically and automatically changed. This results in better training with less injuries.